NORTH LITTLE ROCK, Ark. 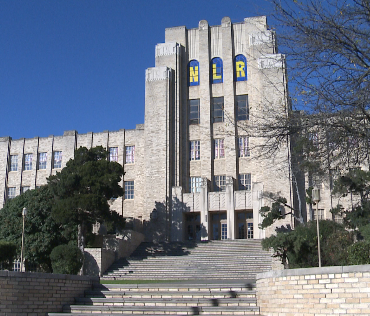 (KTHV) - North Little Rock School District students returning to class on Tuesday can expect to see some big changes. Over the break, the NLRSD did some work on the North Little Rock High School, Ridgeroad and Seventh Street elementary schools, and Pike View Early Childhood Center. District leaders, building contractors and movers have used the time while students were absent to move student and teacher furnishings and supplies into brand-new or renovated spaces, according to Superintendent Kelly Rodgers. "We are working all weekend," Rodgers said about district staff members, as well as the contractors on the different projects. Two of the newly constructed "academic towers" and the dining area at the high school will be open starting Tuesday. A third tower was opened at the beginning of this school year. One of the newly completed towers is identified as the STEM Tower, which stands for science, technology, engineering and math. The other tower will become known as the ninth-grade center, but for the time being will house a variety of classes and students. "It will be quite a shift, because we are moving almost everybody out of Old Main," Rodgers said. Old Main is the original part of the campus that will no longer be used much for classroom space. North Little Rock High School's 10th-graders will continue for now to take most of their classes in the district's Poplar Street building. The 10th grade won't move into the largely new high school building until the beginning of the 2016-17 school year. That is largely because of the unfinished kitchen at the high school campus. Without the fully operating kitchen, the newly expanded school is not yet able to serve all ninth- through 12th-graders, according to Rodgers. At Ridgeroad Elementary, a new school library, or media center, will be operational for the second semester of this school year. So will a newly renovated classroom for the younger pupils. Fourth- and fifth-graders are moving into temporary space this month so that renovations of space for those grades can get underway. Before this school year, Ridgeroad was a middle school. The district converted it to an elementary campus. Similar transitions are taking place at Seventh Street Elementary. A wing featuring new academic classrooms, a gymnasium space and art and music classrooms will be open to pupils for the first time Tuesday. The North Little Rock School District's pre-kindergarten center has changed locations over the holiday break. Almost 300 3- and 4-year-old preschool pupils who have been temporarily attending classes in the former North Heights Elementary School are moving into the newly renovated Pike View Early Childhood Center at 441 McCain Blvd. Jody Veit-Edrington is the director of the center, and Holly Moore is the assistant director for the early childhood center. The North Little Rock district in 2012 initiated a $265.5 million, multiyear capital-improvement program that called for reducing the district's 21 campuses to 13, nearly all of which would be either built anew or extensively renovated. The district is now nearing the completion of most of those projects.